Nearly two tons of Brazilian cocaine bearing the logo of Russia's ruling party was intercepted in three containers at the Belgian port of Ghent, according to Belgian police and confirmed by the federal prosecutor's office to local media. With a street value of around € 100 million ($116 million USD), the bust is the largest in the port's history. 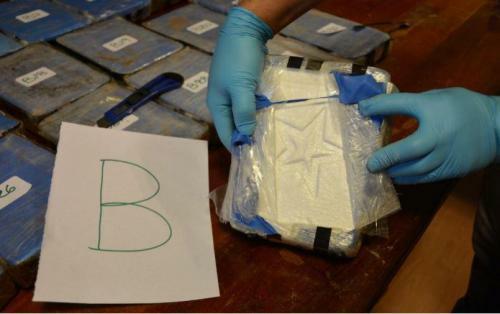 The cocaine was tightly wrapped into more than 1,900 packages and "professionally hidden" among tiles shipped from Brazil, said the Belgian federal prosecutor. The tricolor polar bear logo of Russia's ruling party, "United Russia," can be seen on several of the packages. United Russia ranking party official Evgeny Revenko thought the whole thing was hilarious, posting on Facebook "Now, this is fame!” adding "Or, maybe, they simply liked the flag with our bear. In any case, this made my day, and [I had] a good laugh." Meanwhile, in July a large cocaine shipment marked with photos of Brazilian football superstar Neymer was discovered in Guatemala. And in February, Russian and Argentinian authorities worked together to bust a cocaine smuggling operation out of their Buenos Aires embassy following a year-long sting which enlisted the assistance of a shadowy Russian spy chief. Authorities discovered the plot in December 2016 after Russian ambassador Viktor Koronelli stumbled across 860 lbs. 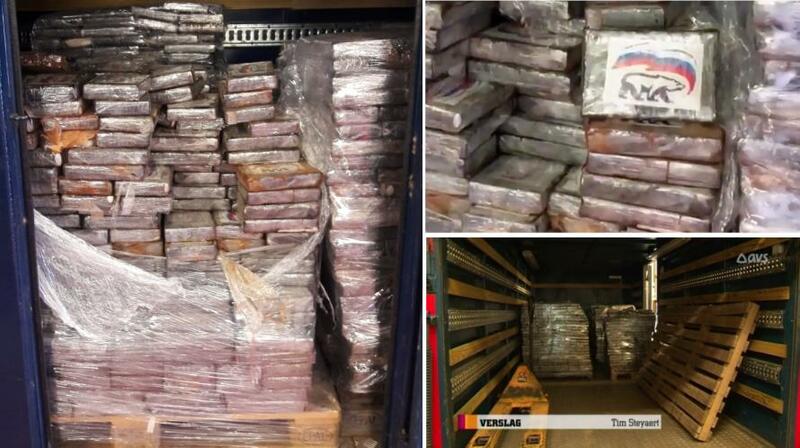 (389 kilos) of cocaine zipped inside 12 suitcases in a storage facility belonging to the diplomatic mission. Koronelli immediately informed Argentine authorities - who decided to keep the discovery secret while they set up an elaborate year-long sting. 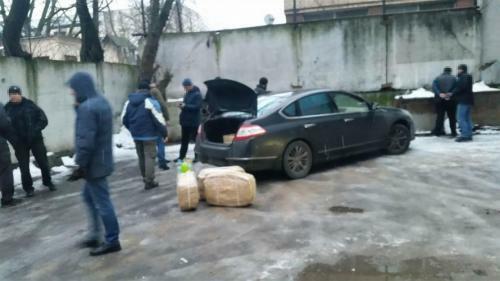 After removing the cocaine worth roughly $61 million USD, and replacing it with flour, authorities placed tracking devices on the cases and conducted a joint monitoring operation with Russian authorities. The courier in the stigng was in fact a high level KGB agent named Nikolai Patrushev - the former head of the FSB who is believed to have authorizedthe 2006 London assassination of a FSB defector Alexander Litvinenko - who died after being poisoned with a lethal dose of polonium-210. Patrushev paid a visit to the Russian embassy in Buenos Aires in December 2017 under the auspices of a visit to Argentine president Mauricio Macri, where the two signed memorandums of understanding in the Casa Rosada executive mansion. Six people were arrested in the scheme.